- and indulging in her other passion: photography. When her local Photographic Society proposes an outing, Kate jumps at the chance to visit Haworth and Stanbury, in the heart of Brontë country, the setting for Wuthering Heights . 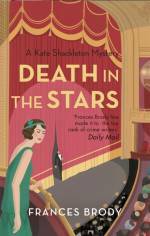 it's up to Kate to crack the case, and get that perfect shot too . . ..
"Brody dresses this elegant mystery in literary history while accenting the cultural mores of the tumultuous 1920s. 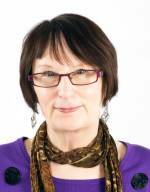 She also convincingly renders the secrets and vices of her well-rounded characters. An intelligent and complex woman, Kate is someone readers will want to see a lot more of." "Newcomers to this well-established series will enjoy earlier titles, too." "Absolutely captivating! 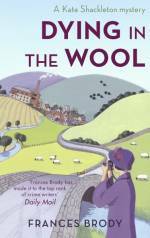 With charm, skill, and spot-on insight, the talented Frances Brody expertly transports us to Yorkshire, 1928 - and we are thrilled to be there. You'll adore the wonderfully atmospheric dialogue and put Brody on your bookshelves with Bowen and Winspear." Hank Phillippi Ryan, national bestselling author of 'Trust Me'. "I lost a day's work because of this novel. I couldn't put it down. Kate Shackleton is a delightful heroine - smart, strong, and independent. 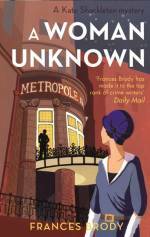 Treat yourself to a trip back to 1920s Britain." Elaine Viets, author of 'Ice Blonde', an Angela Richman mystery. "It's hard to believe this is the tenth Kate Shackleton crime story - but it's every bit as good as the first." "This is the tenth book in the series and it's going from strength to strength. ... I was certain I knew the name of the murderer although - as usual - I was wrong, despite there being plenty of clues. It was an excellent read and I finished it all too quickly. There's a bonus with the book too: I was somewhat surprised, with seventy five or so pages still to go to find that A Snapshot of Murder was finished and we were into the acknowledgements. 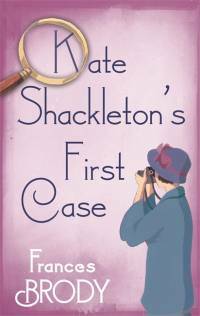 Then I found Kate Shackleton's First Case ... with no fanfare I'd been given a Kate Shackleton short story and it's an absolute cracker." 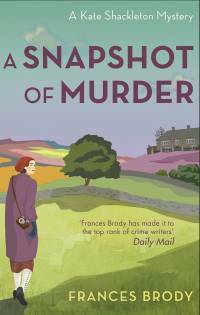 Visit the locations of A Snapshot of Murder - including Frances's favourite picture of the Brontë Parsonage Museum - with the Booktrail. A Snapshot of Murder was published in the US and Canada by Crooked Lane Books on April 9th 2019; more information on the publishers' website. The UK edition includes a bonus story: Kate Shackleton's First Case . See the publishers' website for details. "A strong historical-mystery series; perfect for fans of post-WWI detectives, including Maisie Dobbs and Bess Crawford." "This engaging story is easy to read and positively breathes the atmosphere of its time and beautifully described setting. While some of the supporting characters - the unhappy wife Carine, Kate's ever-enthusiastic niece Harriet, her pot smoking early hippy friend Rita, the reliable Mrs Sugden and Jim Sykes - may catch the imagination, it is the cool Kate, who as always, carries the story." "...a series that grows in depth and warmth all the time ... a thoroughly enjoyable book and a real page turner." 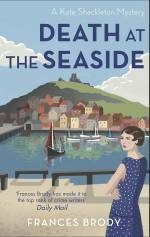 "This charming read gets the period details right but doesn't overshadow the quirky and believable characters." Also included in the UK edition only is a brand new short story, Kate Shackleton's First Case , initially published as a solo e-book, telling the story of how Kate Shackleton became Yorkshire's most tireless private investigator, a heroine ahead of her time. "This is an engrossing story with some delightful glimpses of Kate's relationship with her twin brothers. It is a very pleasant addition to an excellent book."